Our weeklong series of film inspired looks. If you are interested in watching the original “Man of Aran” itself, give the remastered Criterion version a shot with a soundtrack by English indie band British Sea Power. The modern soundtrack helps gives an edge to the 80-year-old film. Much like the film which shares its name, Aran sweaters have quite a bit of misdirection behind their history and marketing. The success of “The Man of Aran” led to a heightened interest in the products produced in and around the tiny Irish islands. 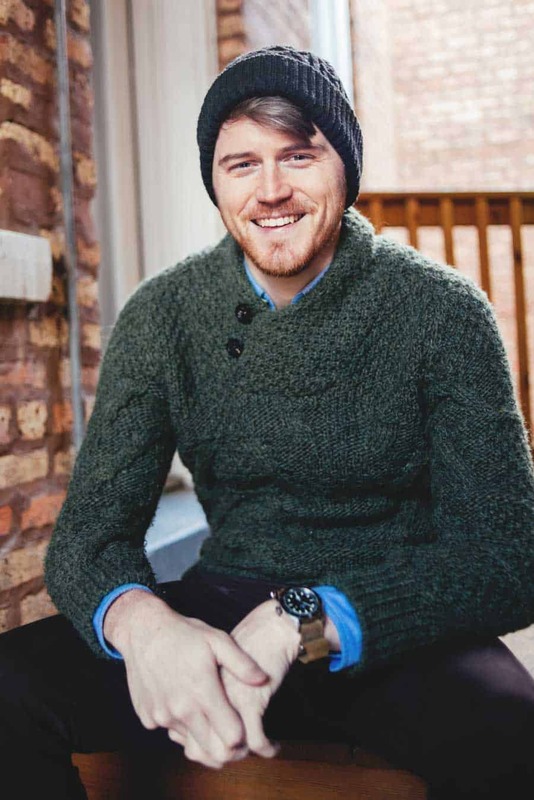 Anything that was viewed as “authentically” Aran was in high demand and this included their sweaters. 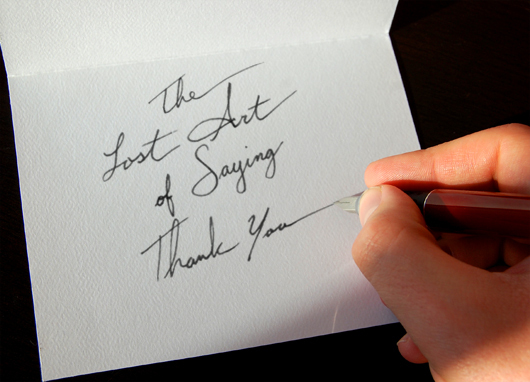 The locals noticed that the more elaborate the pattern on the sweater, the more they would sell. Throw in a story about how those patterns were used for centuries to identify where drowned fishermen were from, and you have a great marketing gimmick. J. Crew still uses this story to sell fishermen's sweaters to this day. 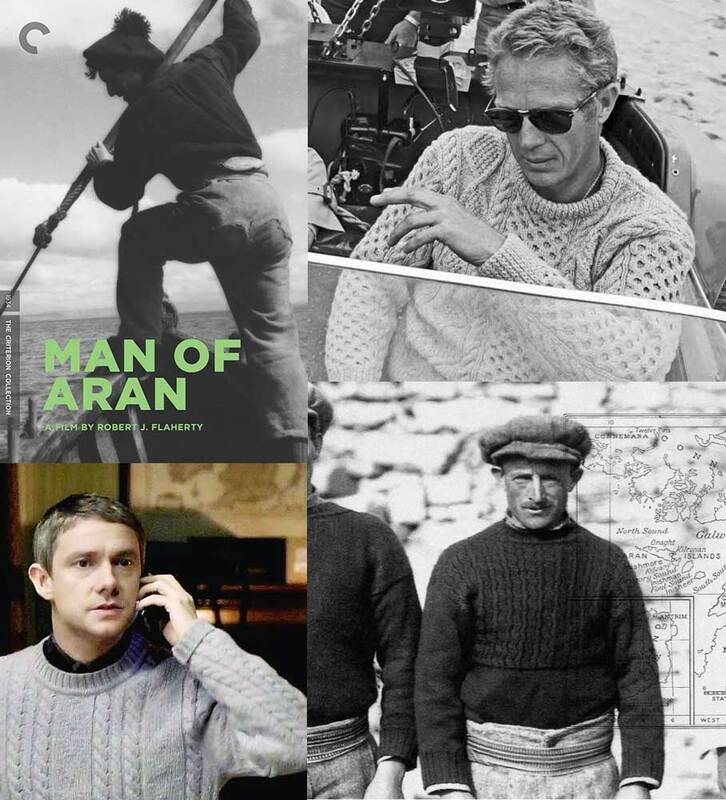 However, if you go back and watch “The Man of Aran,” youʼll notice that there are far less elaborate patterns on their sweaters. In fact, they have more in common with the Guernsey sweaters worn by English fishermen since the 15th century than the modern fishermanʼs sweater. 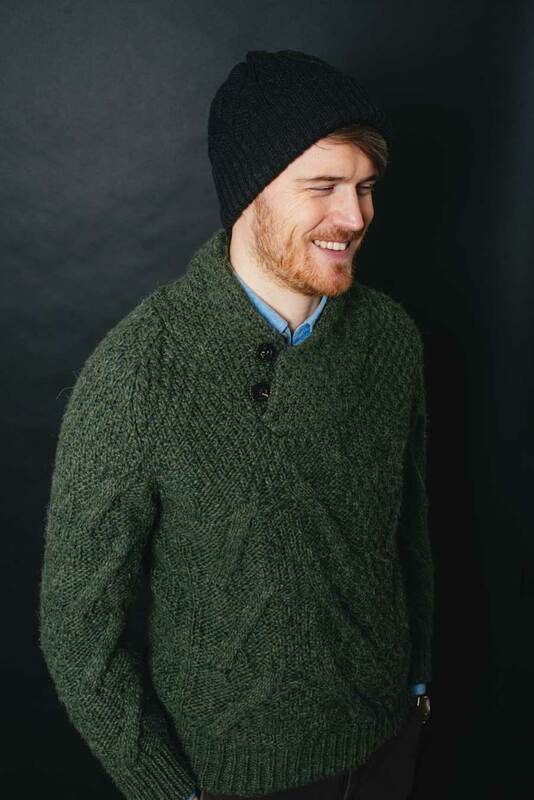 So the Aran sweater is used more as a shorthand for a nautical look rather than being “authentic” (whatever that means now). That doesnʼt mean you canʼt wear one yourself if you like that fisherman look. 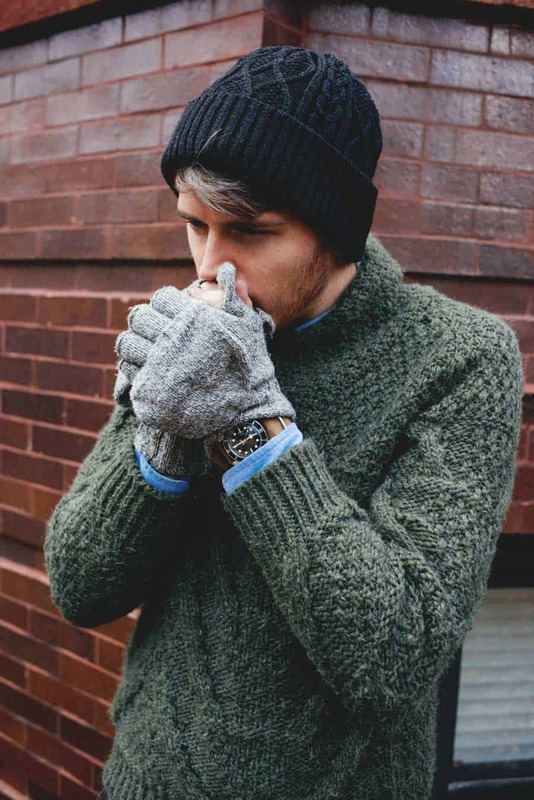 Worn well, it can impart a rugged look to an outfit without losing a sense of refinement. If itʼs good enough for Steve McQueen, itʼs good enough for me. Pairing it with a similarly-patterned hat could be potentially tricky, but I think we managed to pull it off here. 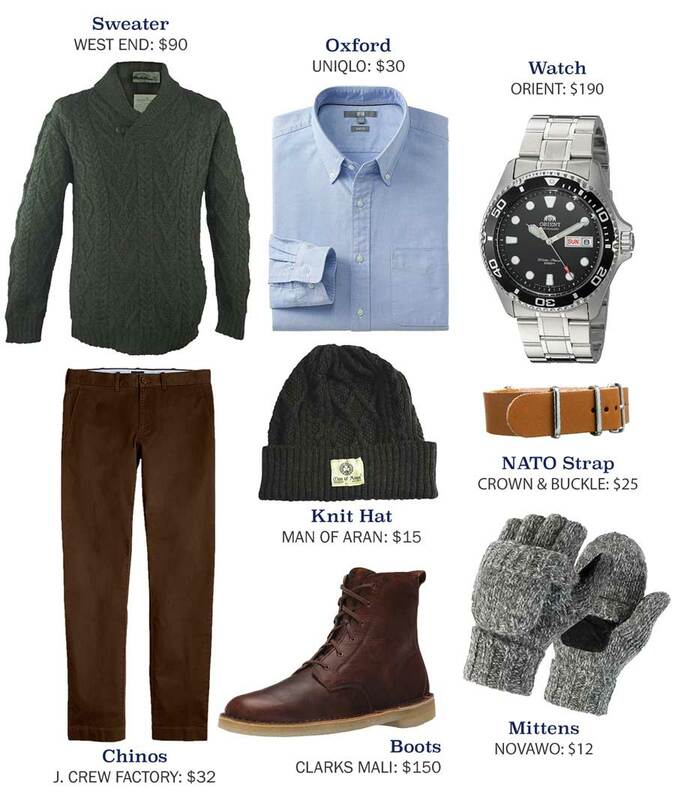 The darker color watch cap helps to hide the pattern and make the outfit a bit more subtle. Overdo the pattern, and you run the risk of looking like your grandmother just got a new knitting pattern that she is trying out on you. 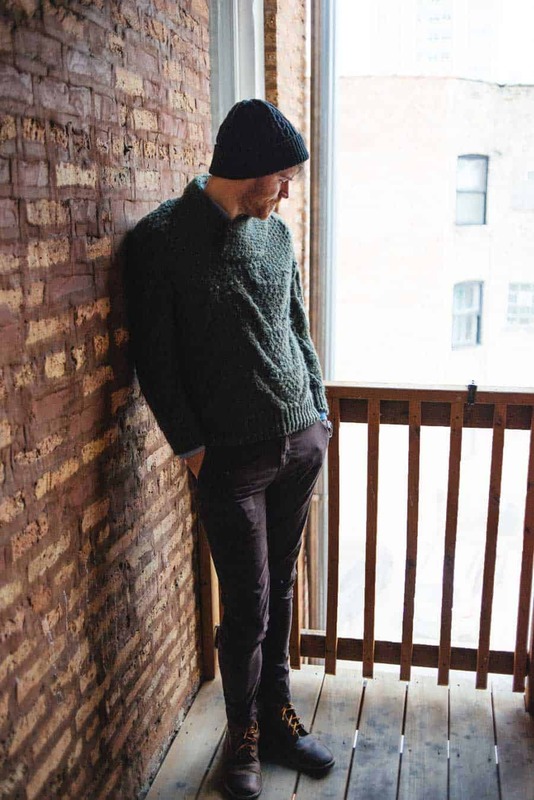 Wear it right, however, and it adds the hardworking-but-refined feel of the fisherman sweater. 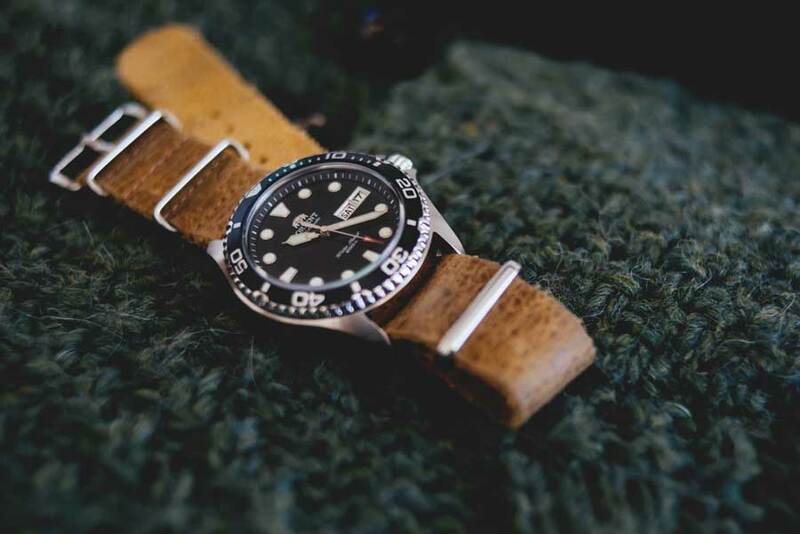 A robust dive watch like the Orient Ray II can take just about any abuse you throw at it—including the cold weather—and still keep time while looking good with a nautical feel. Check out all of the looks in our Menswear at the Movies series! Help make more posts like this possible! Share it with the buttons below! Winners Find Out Here First: Announcing the 5 Winners of our Original Grain Watch Giveaway + Exclusive Discount! 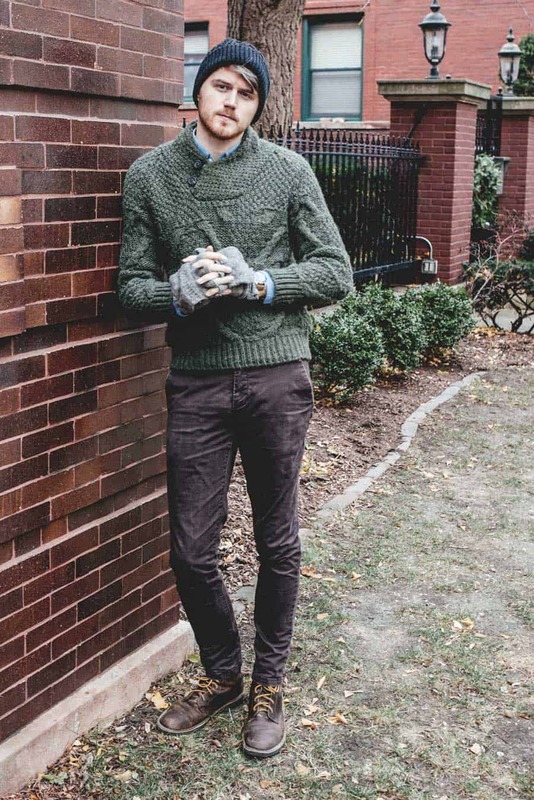 I really like the cable knit of the shawl collar sweater. I’ve got an Aran cable knit sweater in an off white colour as well as a fishermans ribbed sweater in an off white colour. The chinos really make this look for me, in definitely going to invest in some burgundy chinos. Description says “Deep Chocolate.” Are they burgundy? I’m actually not too sure. They looked burgundy to me, but they may be another colour. Eeeehhhhhh….not a fan of the sweater. Just not feeling it. Sorry! Got me a pair of Thinsulate mitts, a knitted hat, similar colored pants, and shirt. Boots, watch, and belt might need to be added. You don’t have to apologize 😜 Everyone’s style is different you have to pick the things that work for you. Just a heads up, looks like the watch strap is discontinued.